...e health outcomes and abate the costs associated with surgical complications. University of California at Los Angeles (UCLA) is a public research university located in Westwood, Los Angeles, California, United States. It was founded in 1919, making it the second-oldest general-purpose campus in the University of California system. 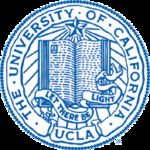 The name was changed in 1927 to the University of California at Los Angeles. UCLA comprises the College of Letters and Science (the primary undergraduate college) as well as undergraduate colleges Arts and Architecture, Herb Alpert School of Music, Henry Samueli School of Engineering and Applied Science, Nursing, and Theater, Film, and Television, seven professional schools, and five professional Health Science schools. Since 2001, UCLA has enrolled over 33,000 total students annually, and that number is steadily rising.